Das Video zeigt eine Performance für elektronische Klanggeneratoren und menschliche Lautsprecherschwenker und ist zugleich die Umkehrung des Performance-Klassikers 'Pendulum Music'  des Komponisten Steve Reich. Bei Reich pendeln Mikrophone an Lautsprechern vorbei, bei Monahan werden die Lautsprecher selbst in Bewegung gesetzt, 'describing the differences between moving and stationary loudspeakers', so Monahan im Videovorspann. The video shows a performance for electronic sound generators and men swinging speakers as an inversion of the classic performance by the composer Steve Reich 'Pendulum Music' . 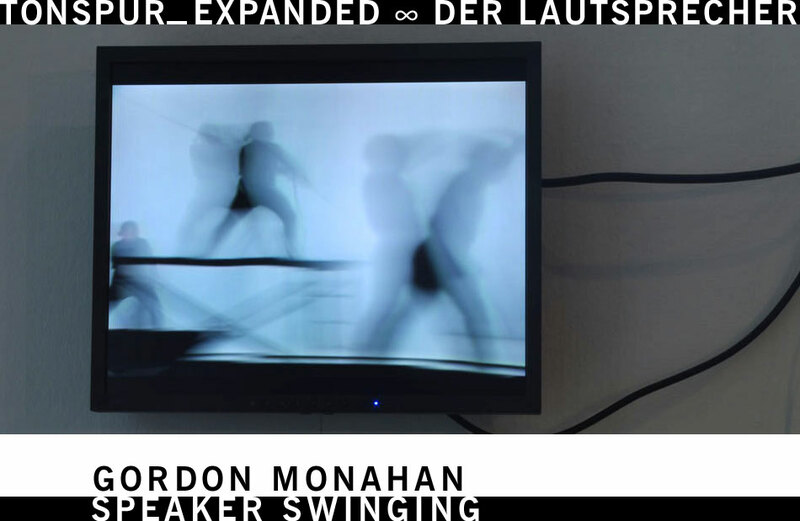 In Reich's performance microphones swing past speakers, in Monohan's work it is the speakers themselves that rotate, 'describing the differences between moving and stationary loudspeakers' [Monahan in the video credits].